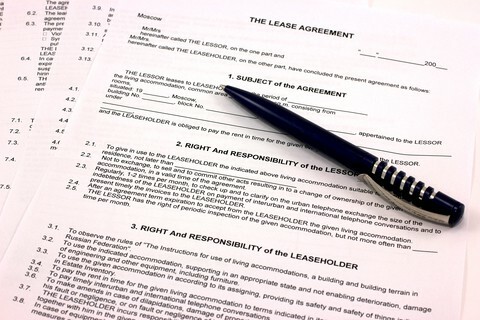 As the year comes to a close and a new one is set to begin, it’s a good idea to make sure your tenant leases are in order. Simple oversights or non-compliance can lead to headaches, lawsuits, and if you’re not careful, thousands of dollars of losses. 1. Security Deposit Terms Security deposits are perhaps the biggest bone of contention for both landlords and tenants. Each state has very specific laws that regulate security deposits. It is worth a quick check to make sure your state has not changed their laws over the last year, and double check that you are compliant with any limitations written into the law. One of biggest issues that often comes up is the actual amount of the deposit. Make sure that you are not overcharging tenants for their security deposit, or you could end up in hot water. Another hot button is when the security deposit needs to be returned. Make sure your policy is in line with state law. If you allow pets, be sure to clearly stipulate whether a separate pet deposit is required, what the deposit covers, and when it will be returned upon acceptable surrender of the unit. Be careful to check that your security deposit is clearly delineated from other fees that you may be charging, especially the non-refundable fees. 2. Who is Actually Living in Your Unit? It is extremely common for tenants to flow in and out of a unit, without the landlord’s knowledge. One tenant moves on, and another one takes their place…but nobody notifies you. In order for you to be able to enforce the provisions of your lease, every adult tenant in the unit needs to be listed on the lease. So, it probably can’t hurt to send a friendly end-of-year notice to your tenants, confirming who is supposed to be living in the unit, based upon the names on the lease. If you suddenly learn that the tenants have changed, you should run a tenant check on the new tenants and amend your lease to reflect the changes (assuming the results of the tenant background check are acceptable). 3. The Potential for Crime Make sure your lease is compliant with the laws of your state in regard to criminal behavior. Many cities and states are enacting ordinances that make landlords responsible for tenant crimes and other actions. It is not uncommon for these laws to require landlords to take legal action against a tenant in order to avoid hefty fines on the landlord. In light of this reality, it is especially important to confirm that the tenants who signed the lease originally (those who passed a criminal background check) are still the same tenants that occupy the unit. If not (and if they have unacceptable criminal backgrounds), you could find yourself in a heap of trouble if they commit a crime in your unit.